I've always wondered why Lotus used such a bulky design and looking at the options currently out there nothing looks appealing. 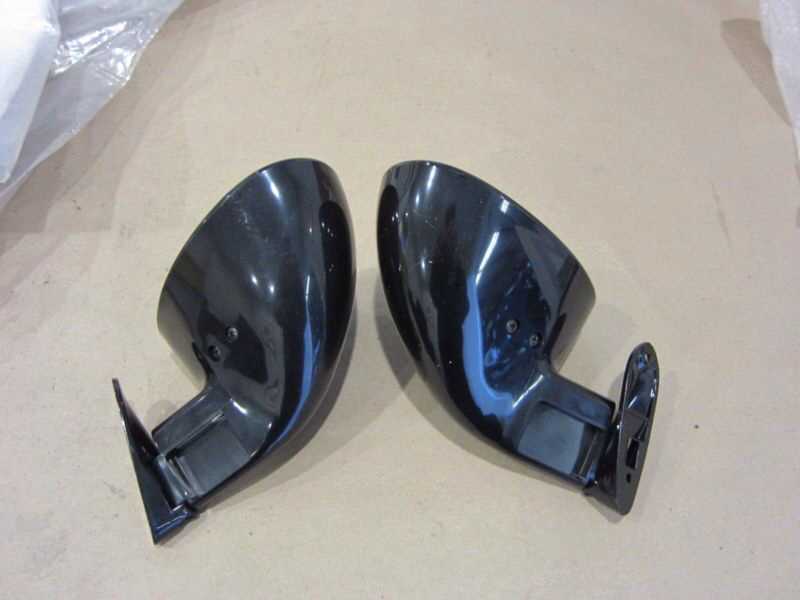 If you were to re-design the wing mirrors what would your ideal design look like? Please keep this thread on topic and if you have nothing positive to contribute then please don't. I like the Mclaren MP4-12C solution, it has a large viewing area, and the mount generates down force. I agree - I've been looking closer at these. I'm wondering how they manage the adjustments. Because they used a mass production low cost part which already existed. Google for a Rover 200 mirror and you'll see what I mean. Mr C - wow I was never aware of that but does sort of make sense. Be serious That's a very nice looking mirror and mount, but it's unlikely to generate any force at all except drag . The Reynolds number of that small a section is in the millions (meaning it's very inefficient) and the leading edge appears to be approximately square instead of the much smaller radius appropriate for that size of a section. It even appears to be running at a positive angle of attack. If it were capable of generating lift (+ or -), it would be measured in ounces, even at 100 mph in clean air. @exlondoner - Since it's so easy to bump the stock Elise mirrors, I've always wanted an electric adjustable mirror, especially for the passenger side. Just that feature alone would be attractive. I see Rover made what appears to be the same mirror body used by Lotus, but with electric adjust. Interesting . . .
Last edited by Glen; 01-01-2016 at 02:44 PM. I think manual adjustment would be cheaper, and easier to manufacture; but if the mirror is motorize, all that needs to pass through the mounting base would be a few small gauge wires. 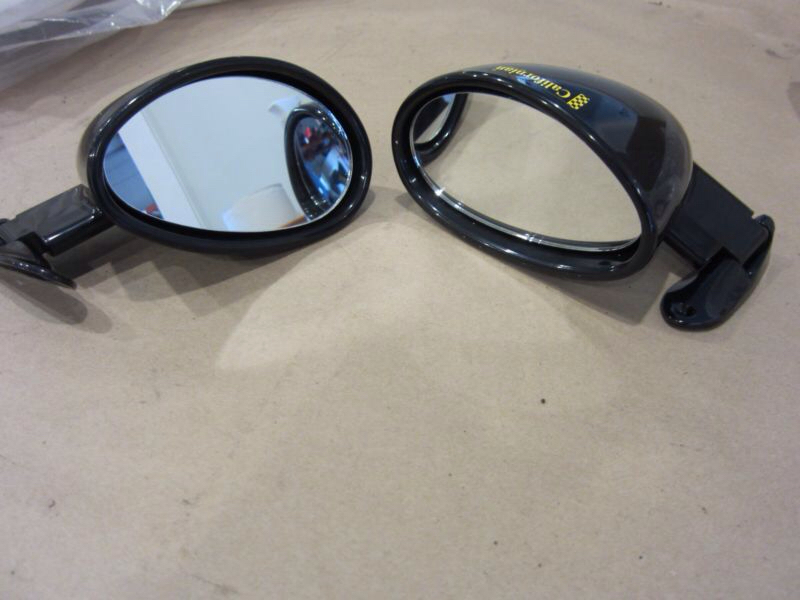 I have had both of these CF after market mirrors on my 2008 240S. I didn't like the smaller one's limited field of view, they both had that after market look, and their rectilinear shapes are incongruous with the curvilinear lines of the Elige. Right, the mirror has to actually blend with the lines of the car - just like any other part built for the shape of the car. I have a few ideas and have the stock mirrors off the car to start some designing. The base plate is definitely one point where they could be approved and I've not come across any yet that have a really good adjustment as alluded to earlier by a couple people. I absolutely loved my multivex mirrors, but they were in the stock housings. I got rid of them to get raceview mirrors which are much lighter and smaller but the adjustment is tricky without actually using tools. The raceview mirrors have a single curvature so that's not as good as the multivex but still worlds better than just flat glass. Good input Caleb, thanks. My plan is to develop something that works with the stock mounting spots to keep things simple. I would be happy to have the stock V6 parts #1, 2, and 3 in CF. Start a group buy list and I'll sign on. Those parts are really really cheap; even when bought from DeRoure! These new ones are made out of fibre-reinforced ABS. Very light stuff! A world's difference from the solid old bulky ones. Thanks for the info vavoo, I thought the new plinths are like the old, solid plastic and dense. Agreed, the S3 mirrors from DeRoure would be your best bet if you're looking for a stock solution less weight. the magical racing mirrors come out very nicely. a little pagani-esque. picture is right after mounting. the unsightly extra surface has been covered by black vinyl since. Those are the type 4 mirrors? These are from DeRoure and they do give you better vision being about 3/4" wider.